HOLIDAYS: HAPPY PASSOVER AND EASTER 2019—TOGETHER AGAIN! 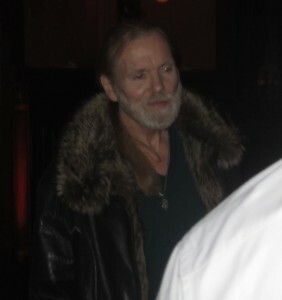 Gregg Allman arriving to perform at the Waxman dinner in NYC. Photo by Karen Salkin. 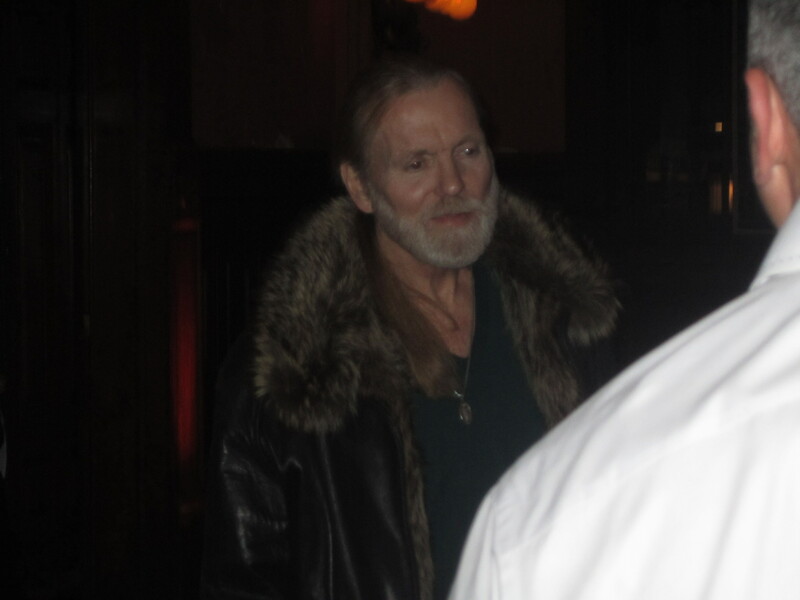 11/15/12 Gregg Allman and Peter Frampton entering the Park Avenue Armory in NYC, prior to performing for the concert portion of the Samuel Waxman Dinner. They looked so fragile, especially Gregg, but, boy, were they powerhouses on-stage!!! 12/6/12 Dancing With The Stars pro dancer Val Chmerkovskiy walking towards me at LAX at around noon. Judging by the fuzzy ear-flaps on his winter cap, his head looked like he was headed to New York, but his tee-shirt with no jacket left a tad of confusion. He looks exactly like he does on TV, btw! 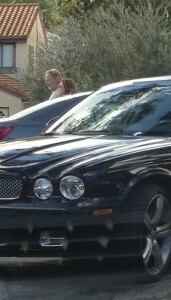 It's tiny, but there are Timothy Busfield and Melissa Gilbert at the Glen Center. Photo by a mysterious photog. 12/18/12 At the Beverly Glen Center, (which people often refer to as the “Top of the Glen,”) Melissa Gilbert was spotted with Timothey Busfield, getting their caffeine fix at Starbucks. 12/19/12 Original Star Trek head Vulcan, Leonard Nimoy, having dinner next to me at Il Piccolino in West Hollywood. Without my glasses on, he actually looked kind-of young! I think it’s due to his very full head of hair. 1/3/13 Former Laker, GM of the Los Angeles Clippers, and 2006 NBA Executive of the Year, Elgin Baylor, waiting for his really nice car at the valet at a financial building in Century City. At first, I thought he was the valet, because he was the only one at the valet station and he was counting out a lot of dollar bills. I was wondering why he was letting me sit there without taking my car! But when I got a closer look, I realized who it was. 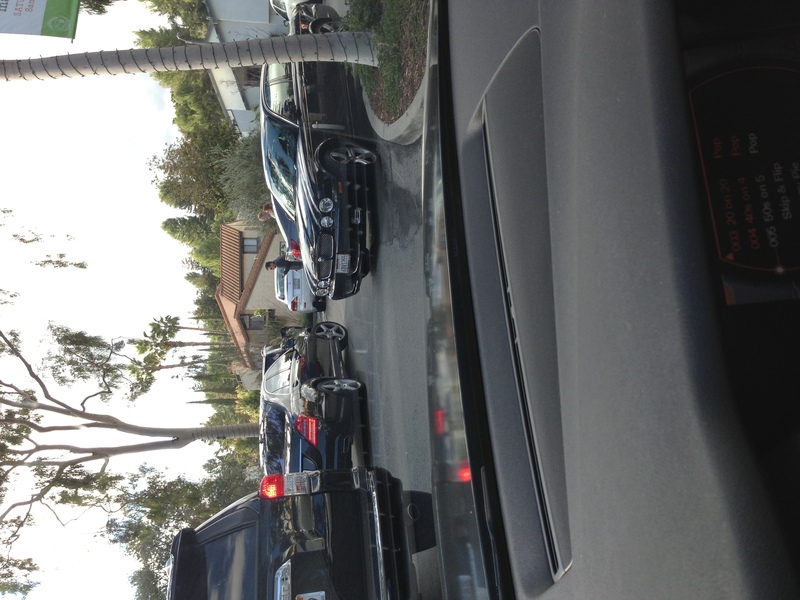 He can take my car anytime, anywhere he wants to! CELEB SIGHTINGS: CELEB SIGHTINGS 60! Sara on GOSSIP: WHY IS KATE UPTON CONSIDERED HOT? bob on GOSSIP: WHY IS KATE UPTON CONSIDERED HOT? Carrie See on HEALTH: SKIN CANCER SURGERY, WITH A WARNING FOR YOU ALL!